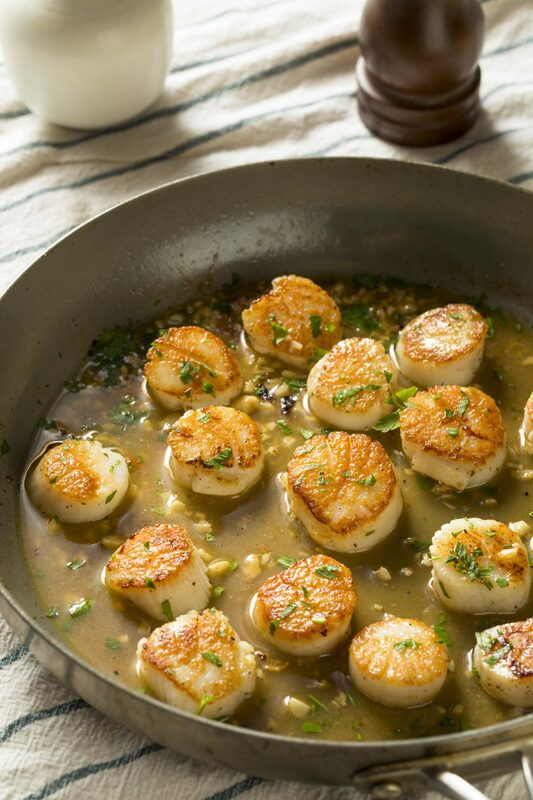 These Are the Best Pan Seared Sea Scallops You’ll Ever Make! 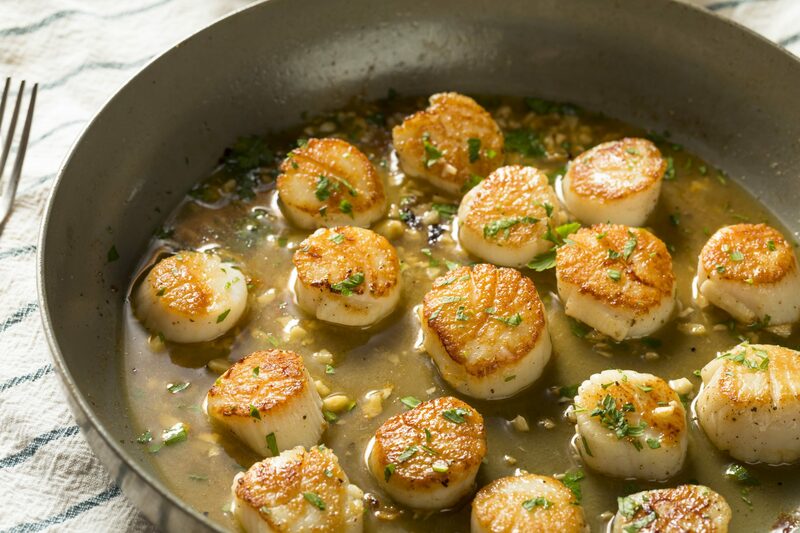 Have you tried cooking sea scallops at home? They truly couldn’t be easier! One of the fastest, most impressive dishes you can make! Packed with protein and selenium…these little babies are a QUICK way to get a nice dinner on your table in minutes. Buying scallops: I prefer “dry” scallops, which do not contain chemical additives and taste much better than “wet” scallops, in my opinion. “Dry” scallops appear ivory or pinkish. 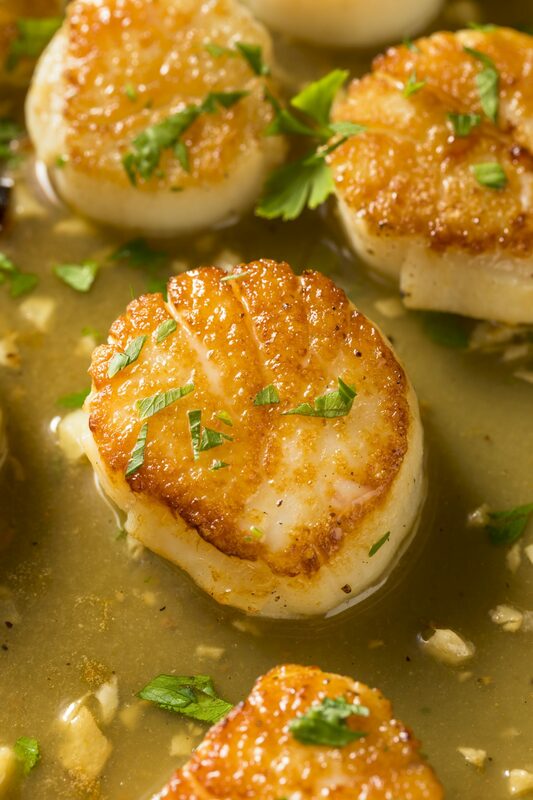 “Wet” scallops are bright white. 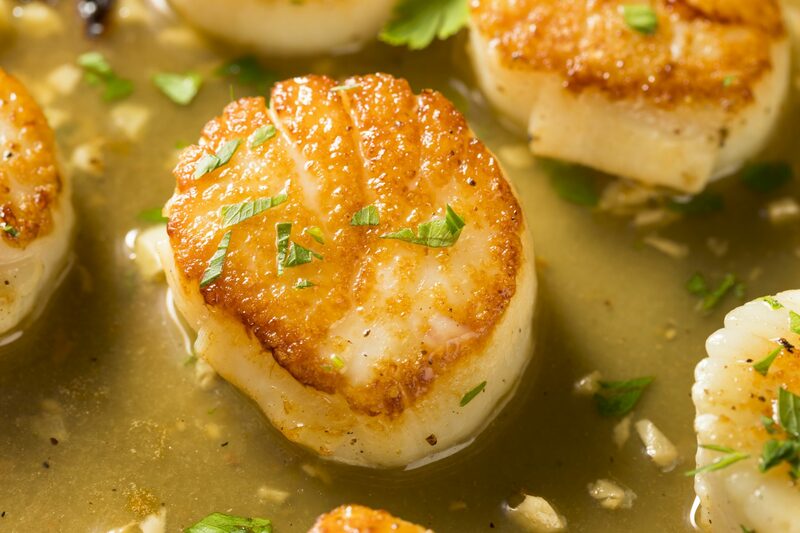 Remove the small side muscle from your scallops, rinse with cold water and pat dry with paper towels. Add the ghee and oil to a large saute pan on high heat. 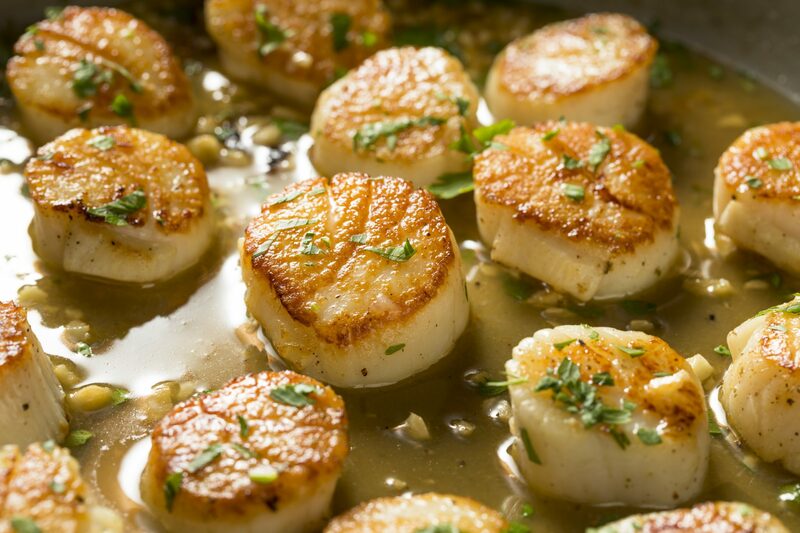 Sprinkle sea salt and pepper on your scallops. 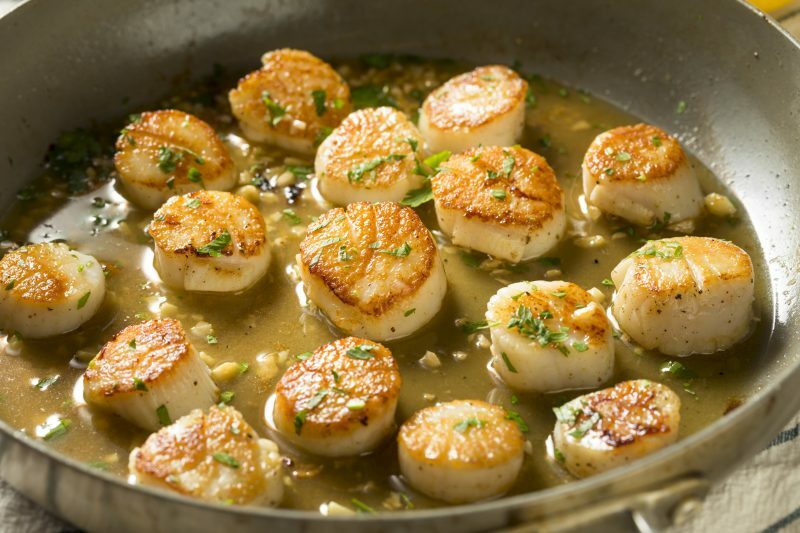 Once your oil is hot and begins to smoke, add your scallops, making sure there is space between them. 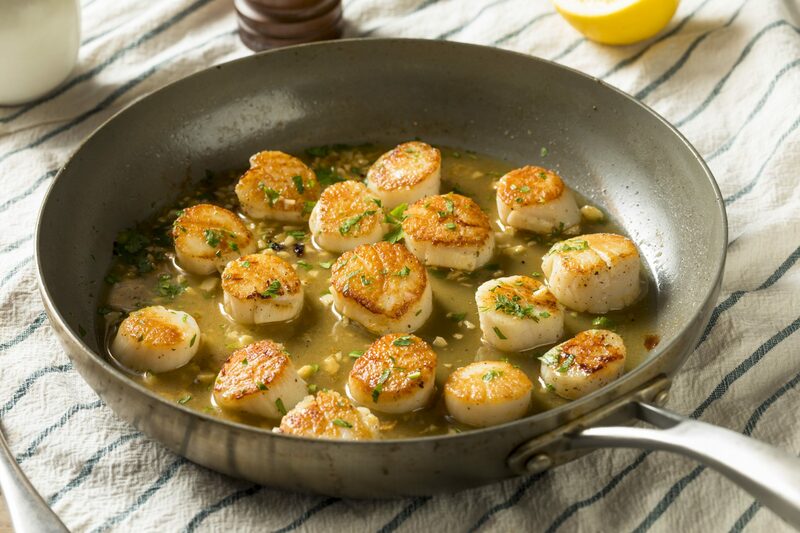 Sear scallops for exactly 1 1/2 minutes per side. The scallops should have a nice golden crust on each side. If you want variety in FLAVOR, add chopped garlic to your saute pan during the last minute of cooking time. The very center of your scallops will still be translucent. Sprinkle with Italian parsley leaves. Serve immediately while hot, with lemon wedges. I like to serve with a side of rice and roasted broccoli or French green beans. Enjoy and remember to tag me @CleanFoodCrush in your creations!